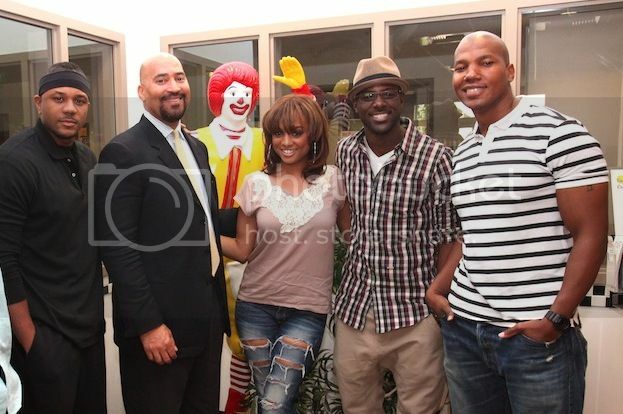 Hosea Chanchez, actor, "The Game"; Los Angeles Ronald McDonald House Executive Director Vincent Bryson; BET personality Alesha Renee; Lance Gross, actor, "House of Payne" and former Arizona Cardinal football player Isaac Keys at the Los Angeles Ronald McDonald House. OAKBROOK, IL (February 17, 2011) – On February 17, McDonald’s Men of McCafé® celebrity ambassadors Hosea Chanchez (The Game); Lance Gross (House of Payne); BET personality Alesha Renee and former Arizona Cardinal football player Isaac Keys kicked off their NBA All Star Weekend festivities with a special surprise visit to the Los Angeles Ronald McDonald House. The visit highlighted their ongoing efforts as ambassadors for the Men of McCafé Casting Call as well as their passion for giving back by serving McDonald’s charity of choice – Ronald McDonald House Charities®. The group participated in a tour of the state-of-the-art facility led by Los Angeles Ronald McDonald House Executive Director Vincent Bryson, provided lunch and spent time interacting with families currently residing at the House. Last fall, McDonald’s launched the Men of McCafe Casting Call in partnership with AOL Black Voices – a nationwide talent search to identify community-service minded men to serve as brand ambassadors during the 2011 Essence Music Festival. As part of the inaugural program, McDonald’s teamed up with an all-star group of celebrity talent that have a strong commitment to their community and promoting positive images of men. The current Men of McCafé celebrity ambassador roster includes: Hosea Chanchez (The Game); Lance Gross (House of Payne); BET personality Alesha Renee; Lamman Rucker (Meet the Browns) and former Arizona Cardinals player Isaac Keys. For more information about the McDonald's Men of McCafe Search, please visit 365Black.com or visit Blackvoices.com for Official Rules, restrictions and entry details. 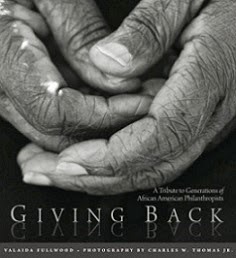 I think it's great that they are trying to get more Black men involved in community service efforts. 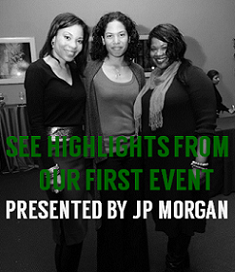 Often times we have a vision in our mind that community service is just for women and that's not true!